When the original HTC Sensation launched just a few months ago it was one of the most powerful smartphones on the planet. Now its Taiwanese creators have gone back into the lab and created the Sensation XE, a successor which puts the emphasis on excellent audio playback as well as an increase in power. The `XE` stands for Extreme Edition and there is little doubt that this rings true. Its dual core processor is clocked at 1.5GHz, outpacing the 1.2GHz chip found on the original Sensation. It retains the same 4.3 inch display with a resolution of 540x960 and the SLCD technology makes the screen bright, vibrant and easy to view from most angles. The Sensation XE has support for Beats audio technology. The company behind Beats was purchased by HTC and so it has gone about adding red detailing and bespoke in-ear headphones to this smartphone in order to give music lovers and audiophiles something to shout about. The exterior of the phone has been finished to a high quality, with brushed metal and premium plastics featuring on the rear and the Beats logo sitting proudly on the battery cover. It is still not as slender as alternatives like the Samsung Galaxy S2 and it is even a little heavier than its predecessor at 151 grams but it is still a well-designed, solid-feeling smartphone. Android 2.3 is onboard and it gets the usual HTC treatment thanks to the Sense 3.0 user interface which enhances the widgets and overhauls the homescreens for added finger-friendly fun. The processor speed increase makes multitasking and web browsing feel as flawless as ever and the Sense graphical niceties, such as the 3D effect when flicking between homescreens, never miss a beat. Meanwhile the upgraded battery means that it will not leave you searching for a plug socket after a few hours of moderate use. Photography is handed by the eight megapixel rear-facing camera with dual LED flash. 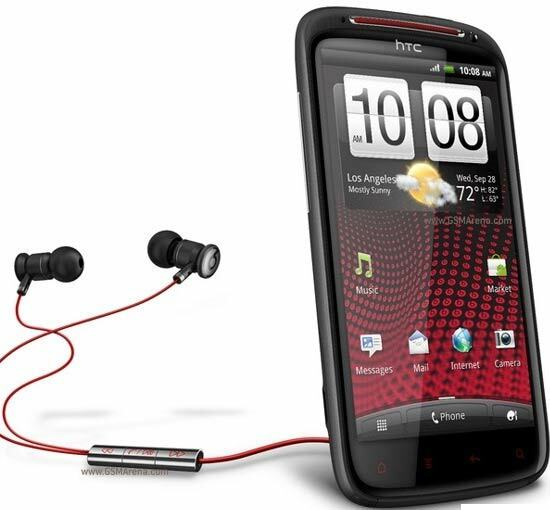 By harnessing the power of the processor the HTC Sensation XE can record video footage at full HD 1080p resolutions. Perhaps one of the biggest reasons to invest in the HTC Sensation XE is the fact that it will remain relevant and reliable for at least another year. Android 4.0 will eventually be brought out in the form of an update for this handset and the processor is still largely untapped by current software, so there is room for the platform to develop and grow without leaving the phone in its wake. The Beats audio features will definitely appeal to people who want to replace their standalone portable media player and the inclusion of excellent headphones as part of the basic package has to be praised in a market where this is typically a cut corner.